Is Paying Taxes Habit Forming? Experimental Evidence from Uruguay. Municipalities in Brazil, Colombia, Ecuador, and Uruguay, among others, have experimented with reward programs that give “good taxpayers” some sort of meaningful prize (from cars to tax holidays) as an incentive to continue paying taxes in the future. Researchers tested in the case of Montevideo, Uruguay the impact of winning a tax holiday on subsequent tax compliance. Winners of the tax holiday lottery were 3 percentage points less likely to pay taxes in subsequent years, and this effect lasted for up to three years after the holiday. They also tested the impact of reminder messages incorporating positive rewards or negative sanctions on tax compliance and found that, while reminders increased compliance, neither positive nor negative framing had an additional effect. Low tax compliance in developing countries is often attributed to governments’ weak monitoring capacity and their inability to induce payment. Municipalities in Brazil, Colombia, Ecuador, and Uruguay, among others, have experimented with reward programs that give “good taxpayers” a meaningful prize as an incentive to continue paying taxes in the future. Researchers tested in the case of Montevideo, Uruguay the impact of winning a tax holiday on subsequent tax compliance. Habit formation, unrelated to positive or negative incentives, may play a role in sustaining tax compliance or noncompliance. A tax paying habit may become disrupted when “good taxpayers” win a tax holiday. Understanding the impact of habit formation on compliance may have important implications for tax policies, especially in developing countries that struggle to induce payment. In 2002, the government of Montevideo initiated a lottery to provide compliant taxpayers the chance to win a year-long tax holiday. “Good taxpayers” had a one in five-thousand chance of winning the lottery in any year. The lottery selected winners across four types of taxes: head, vehicle, property, and sewage. The majority of taxpayers pay in person at local kiosks called “Red de Cobranzas” though some pay at City Hall or by automatic bank debit. For property owners, the average appraised property value was 956,000 Uruguayan pesos (US$36,035) and the annual value of property taxes was over 7,044 Uruguayan pesos (US$265). 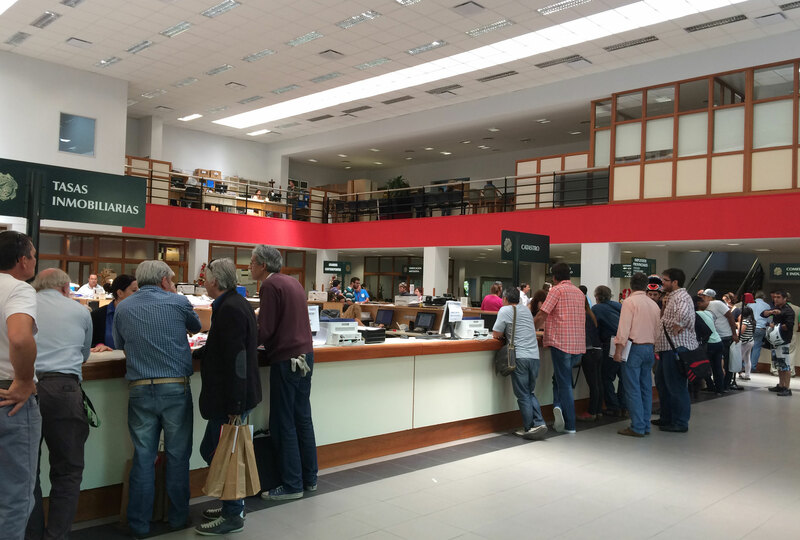 Utilizing the results of Uruguay’s National Lottery, a natural experiment, researchers partnered with the municipal government in Montevideo to test the impact of winning a tax holiday on subsequent tax compliance. The treatment group consisted of 3,189 “good taxpayers” who had won the lottery in one of four tax categories since 2004. The comparison group consisted of 3,174 “good taxpayers” who had not won the lottery in any tax category. In addition to the lottery, researchers collaborated with the municipal government in Montevideo to conduct a randomized evaluation to test the impact of informational messages on future tax payments. The messages informed recipients about positive and negative incentives and focused specifically on property tax. Through administrative tax payment records and survey data, researchers randomly selected 10,655 individuals to be in the comparison group and 23,991 individuals to receive one of five informational messages. Tax Holiday Lottery: Winners of the tax holiday lottery were 3 percentage points less likely to pay taxes in subsequent years (compared to about 66 percent of lottery losers who paid taxes), and this effect lasted for three years after the holiday. This implies that the lottery caused the government to lose revenue through the tax holiday and subsequent non-compliance by previously compliant taxpayers. The authors suggest that the reduction in compliance after the tax holiday could be due to the fact that the tax holiday disrupts the habit of paying. Informational Messages: Overall, the informational messages increased intended compliance. Among “bad taxpayers,” the Tax due date reminder + Punishment for not paying taxes reminder increased tax payments by about 4 percentage points compared to those who did not receive any informational messages. However, reminders about the tax holiday lottery (positive incentive) or punishment for non-compliance (negative incentive) had no additional effect on paying taxes than the basic tax due date reminder. Use of Results: Researchers presented results from the randomized evaluation to the government of Montevideo, who is now planning to modify the tax holiday program for “good taxpayers.” As the results suggest that the existing program reduces tax compliance by disrupting the habit of payment among recipients, the municipality has proposed instituting a retroactive refund rather than a prospective tax holiday for reward recipients. The new policy is described in Spanish here. Dunning, Thad, Felipe Monestier, Rafael Pineiro, Fernando Rosenblatt, and Guadalupe Tunon. "Is Paying Taxes Habit-Forming? Theory and Evidence from Uruguay." Working Paper, July 2017.